A diagnosis of Type 2 diabetes was unheard of in a child 25 years ago. Today Type 2 diabetes can account for almost half of all cases of diabetes in children. Childhood obesity is the single most important risk factor for young-onset Type 2 diabetes, but preventing obesity and promoting healthy behaviours is a complex problem. This talk will introduce Live 5-2-1-0, a made-in-BC initiative that addresses this complexity by building collaborative community partnerships in all sectors and supporting collective action to create healthy environments for children. 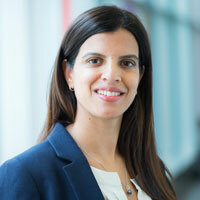 Dr. Shazhan Amed, is a pediatric endocrinologist at BC Children’s Hospital and also the Founder and Project Lead of Live 5-2-1-0, an initiative of BC Children’s Hospital aimed at preventing childhood obesity and its related complications like Type 2 diabetes. Dr. Amed leads the Live 5-2-1-0 initiative because she strongly believes that promoting healthy weights in children by partnering with all sectors of a community to create healthy community environments will prevent them from developing serious chronic diseases in young adulthood. Dr. Amed did her medical school at the University of Calgary, her pediatric endocrinology training at SickKids Hospital in Toronto, and also has a Masters in Public Health from the London School of Hygiene and Tropical Medicine. Every parent should be asking ‘is the amount of time my child spends sitting harmful?’. Assoc. Prof. Ali will provide an overview of the health risks from too much sitting. She will also discuss whether we can reduce this risk by breaking up sitting with exercise and how physical activity can be re-engineered back into children’s lives. 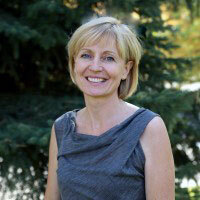 Ali McManus is an associate professor with the School of Health and Exercise Science, University of British Columbia Okanagan. She earned her doctorate from the University of Exeter, and held a faculty position at the University of Hong Kong for 18 years before joining the faculty at the UBC Okanagan in 2013. She is the President of the North American Society for Pediatric Exercise Medicine and serves on the editorial board of Pediatric Exercise Science. McManus directs the CFI funded Paediatric Inactivity Physiology Laboratory which focuses on generating a greater appreciation of the cardiopulmonary and vascular impact exercise, physical activity and sedentary behavior play in the health and wellbeing of children. Healthy Eating and Active Living for Children and Youth: There’s More to This Than Meets the BMI! The public as well as health professionals are hearing conflicting messages about the health consequences of kids being overweight. Dr. Warshawski will provide an evidence-based overview of how to optimize health through healthy eating and active living instead of focusing on the BMI. Tom Warshawski practices as a consultant pediatrician in Kelowna and is the former head of pediatrics at the Kelowna General Hospital. Dr. Warshawski is an associate clinical professor of Pediatrics with the University of British Columbia, is a member of the Heart and Stoke Foundation Compass Committee and current chair of the Childhood Obesity Foundation. 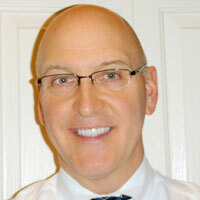 Dr. Warshawski spearheaded the development of Sip Smart and is one of the leaders in the development of Screen Smart. For his efforts in promoting healthy active living in children and youth, Dr. Warshawski has been the recipient of the Judith Hall Award from the BC Pediatric Society, a Certificate of Merit from the Canadian Pediatric Society and a Special Achievement Award from the American Academy of Pediatrics. The digital world is here to stay, changing our society in a way that has far-reaching consequences for our children. How do we harness the spectacular connecting potential and yet avoid the pitfalls of attachment technology gone awry? How do we prepare them to live in this new world and yet preserve what is required for healthy development to take place? 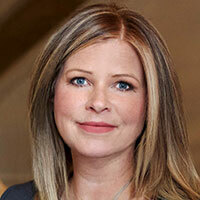 MacNamara will consider the digital revolution through the lens of developmental science. Deborah MacNamara is a dynamic teacher and experienced counsellor with over 20 years’ experience in educational and mental health settings. She is passionate in taking developmental science and making it applicable to everyday life in the home and classroom. The underlying purpose of all services is to put adults in the driver’s seat by making sense of kids from the inside out. From everyday questions to complex problems, strategies for making headway with a child or teen is grounded in a rich developmental framework. MacNamara regularly appears on radio and TV, and her articles appear in parenting magazines, websites, and newsletters across Canada and internationally. She is a triple alumna of UBC and completed a two-year post-doctoral internship with Dr. Gordon Neufeld.